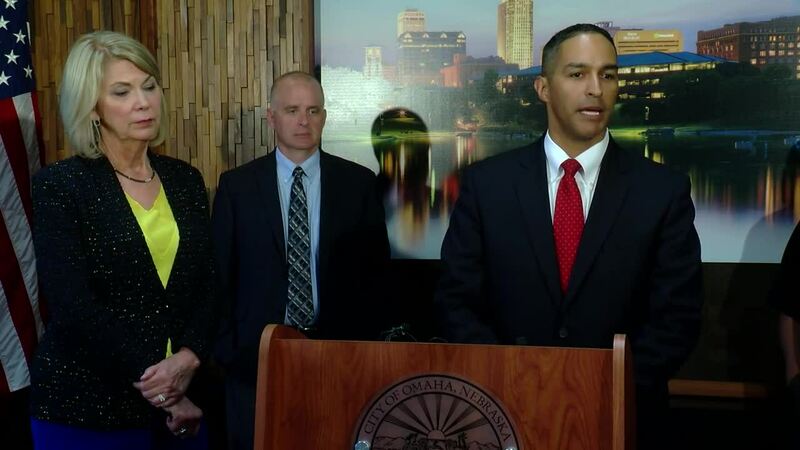 OMAHA, Nebraska — Omaha officials said in a press conference Friday afternoon have identified more than 1,000 violations at Yale Park Apartments that will be served to the owner next week. 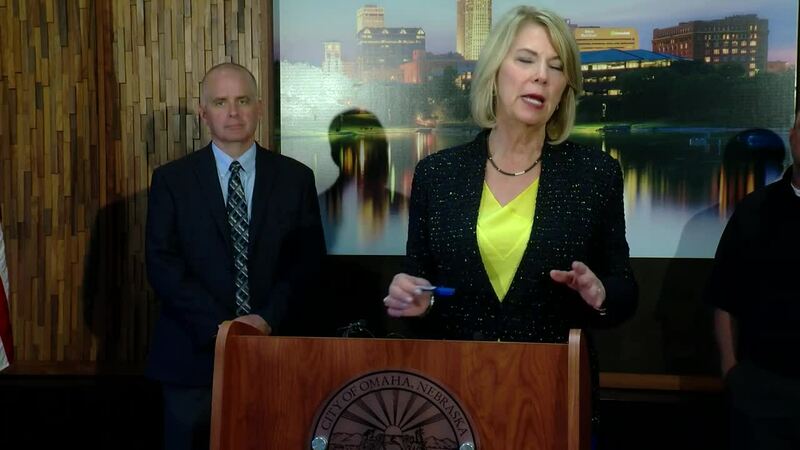 “We did consider some of these situations life-threatening,” Mayor Jean Stothert said Friday, repeatedly referring to the conditions found at the apartments as "deplorable." All 13 buildings have been inspected, and several levels of violations were discovered, she said. Each violation comes with a possibility of a fine of $500 or six months in jail. 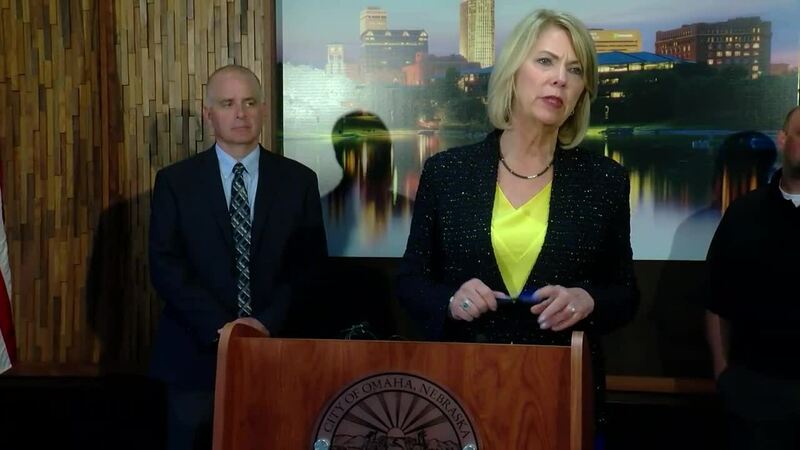 "If there are others (apartments) in Omaha that are like that, it's certainly something that will want to know about, and we will do whatever we can," Stothert said. Omaha Planning Director Dave Fanslau said most of the buildings were inspected Thursday , with inspectors examining nine units on Friday. All Yale Park units inspected Friday contained similar violations to those inspected Thursday. The building was last inspected for code violations in 2015, but those mainly included exterior issues, Fanslau said. "We were not in the building," the mayor said. City officials said they became aware in recent days of a lawsuit pending regarding an explosion that occurred there, leaving a boy injured, but indicated they would look into the details once they are made public. Placards indicating the severity of the violations have been placed on every door, Fanslau said Friday, including that of a unit occupied by the owner as well as the office and washroom. The buildings have been secured since yesterday. The property owner is responsible for securing the apartments, Fanslau said, but OPD has been on site since Thursday night. Tenants have been allowed to return between 8 a.m. and 6 p.m. to collect belongings , he said. Power and gas remain shut off at the buildings. ”Today, some residents have returned, and we have allowed them to go back to their units to gather their personal belongings, making it very clear, though, that they’re not supposed to be there for anything else but to gather their belongings and leave the site." They're not allowed to remain in the apartments or stay overnight, nor are they allowed to clean the apartments, he said. Level 1 and Level 2 violations indicate problems that make the building unsafe for human habitation, and the owner will have 30 days upon notice to correct. Level 3 violations refer to minor issues like peeling paint. The owner will have 60 days to comply. Level 4 violations generally refer to problems found on the building’s exterior and do not impact whether the building can be inhabited. The owner will have 90 days to comply. "The tenants would not be allowed to come back in and occupy the building until these violations were taken care of and the city goes back and inspects -- including MUD and OPPD -- and gives approval for those buildings to be occupied again," she said. The mayor said the owner had indicated his intent to let residents return as repairs were made. 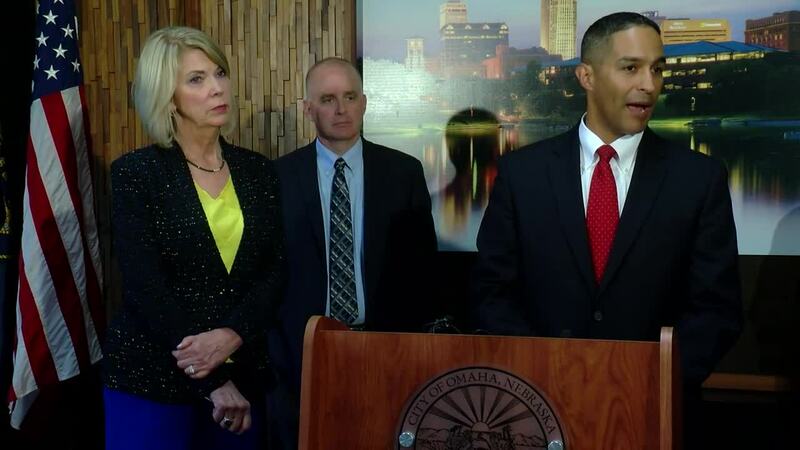 "That is not accurate," Stothert said. "It isn't going to be one or two families moving back in willy-nilly. It's going to be the whole building." 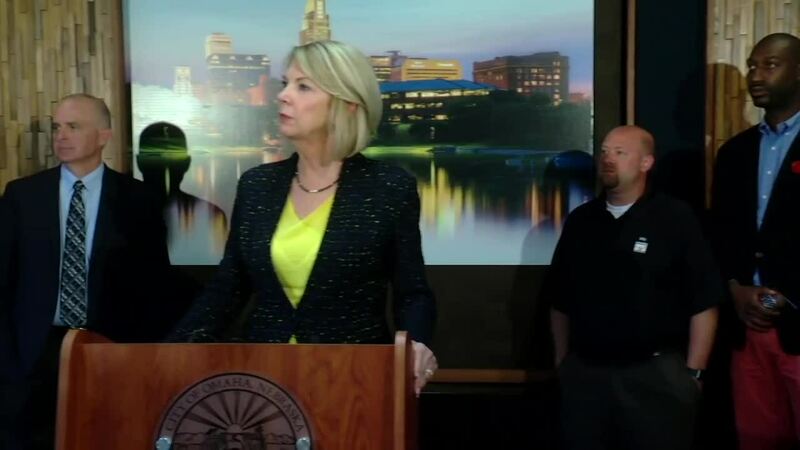 Stothert said city officials plan to sit down with owner and property manager Kay Anderson early next week to go over the violations and the amount of time allowed to comply with the repair orders. The mayor said the organizations working with families are well acquainted with the residents and are helping the city and other entities involved in assisting the displaced residents to make sure their needs are addressed. 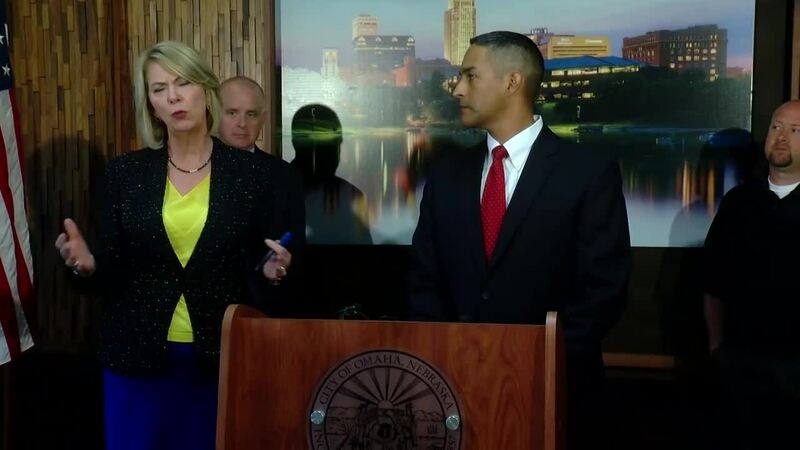 "In fact," Stothert said, "there was a little issue with the food that was being provided last night, and we are having culturally sensitive food delivered to them today." According to the mayor, Heartland Family Services said Friday they believe they will have all the displaced residents placed by Tuesday. The city began working coordinating the operation Monday to assure the needs of the residents were covered. Many city departments, including the city planning office, as well as the health and law departments, have been involved in the operation as have many other organizations and agencies, including Heartland Family Services ; Omaha police, fire, and parks departments; Human Rights and Relations, The Salvation Army , Red Cross of Nebraska and Southwest Iowa , Restoring Dignity , Open Door Mission , Douglas County React/Douglas County Emergency Management , Boys Town , and Metro Transit .